It's no wonder a Victorian author created the most famous horror villain of all time. With their society carefully constructed to hide every impolite aspect of life - and, let's face it, all life is pretty rude, insisting on its own way all the time - Victorian ladies and gentlemen had to suppress every natural instinct there is. Urges, ideas, fantasies, nightmares festered beneath corset and cummerbund alike, and burst forth in a glut of blood and other bodily fluids in Dracula. 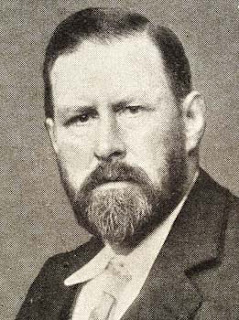 While Bram Stoker's 1897 novel became world famous, his other writings sank into obscurity, but Lair of the White Worm, his final work, seethes with the same sort of repressed fury at the indignity of life itself. Three cultivated men of the upper classes have to deal with a hateful estate owner, Edgar Caswell, who seems to literally mesmerize the pretty innocent young women of the town. The men are also busy being outraged by a mysterious, sinuous aristocratic, Lady Arabella March, who slinks about haughtily. Don't even get them started on the estate owner's black African servant. So there's this whole thing about ancient Roman pagans on British soil, and snake worship, and worms not being worms but serpents or dragons from time immemorial. Lady March is undeniable, cool, sensuous, and incalculable, with "diabolical cunning," and so an affront to Victorian decency - of course a modern heroine. You can see how the book was co-opted by the Gothic romance fad in the 1960s (at top, Paperback Library 1966): retitled, one light on in the castle, subtle hint of predatory lesbianism, and a gorgeously rendered "garden of evil." 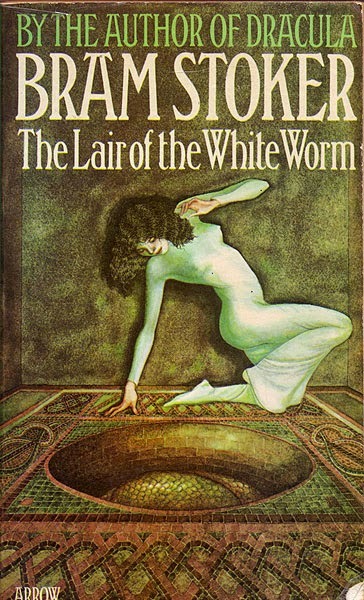 The 1970s Zebra edition is more prosaic and features "Dracula" in much larger print that title or author, and a woman in a really unflattering nightgown and feathered hair. Oddly, the Zebra version rewrites some of the prose, switching from passive to active voice in a handful of passages, even the very first sentence! Pulpy, overdone, sexist, classist, and racist to the extreme, Lair of the White Worm presents the night-side of a morality intent on insisting, with utmost hypocrisy, it's the very purest ray of light in a world gone to the savages. Kind of a fun read, though. I believe it is Paperback Library edition that is the aberration, not the Zebra edition. This, of course, also makes a certain sense in as much as - being bold enough to change Stoker's title from "Lair of the White Worm" to "Garden of Evil", the publishers might also see fit to rewrite Stoker's text. You're right Paul; the Zebra edition is correct and the two Paperback Library Gothic editions have the same altered first sentence.